Hailed as the “Land of the Raging Fire”, Maui is the second largest islands in Hawaii. 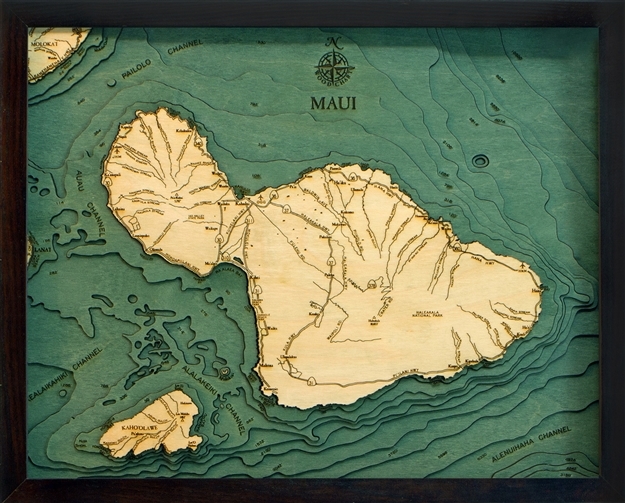 Measuring about 728 miles, Maui considered as the 17th largest island in the country. Its first settlers were part of the Polynesian migration that settled through parts of Hawaii, Easter Island, and New Zealand. They arrived paddling their outrigger canoes out in the vast ocean seas until they reached the island. Maui is known worldwide to have pristine beaches, exotic locations, and scenic volcanoes. Adventurers love how Maui can host great adventure activities like visiting beautiful dormant volcanoes, kayaking, and hiking. For the not so adrenaline junkies, Maui’s shorelines have the best pristine beaches; anyone can just sit back and relax to the sound of rushing beach waves – one of the clearest waters in the world. There are so many things to do in Maui and listing them will do any justice for this wonderful paradise-like place. And it will be a bit overwhelming for tourists who would visit Maui for the first time. Rather than to cram your entire time visiting all of them, it would be better to just let things flow. But here are some of the places to visit that you cannot miss. We guarantee that you will be back for more. When going to the island of Maui, you may read a lot about ‘what to do’ lists and ‘must dos’, sure they are fun but you cannot leave the island without going these four experiences. Start your trip with the Old Lahaina Luau, where you can experience a full authentic Maui vibe you are rooting for. Then head on to Kapalua Coastal Trail, where the best beaches are located. Next, try going for some snorkeling at Molokini Crater and cap it off with the most picture-perfect sunset and sunrise at Haleakala Crater. To really know Maui from its roots try visiting the Bailey House Museum, it has the best bookstore in town. The museum houses some of the rare Hawaiian artifacts and sees that the life was for its original settlers and Missionary families. But mostly try to immerse yourself with its local and cultural history amongst the people of the island. Haleakala Crater is a place where mythology draws a very thin line to reality. It’s a legendary place where the demigod Maui snared the sun. If you have little kids, chances are they saw the film Moana, and this place will make their imagination race. It’s rightly so since the sunset and sunrise are breathtakingly beautiful and will definitely capture your hearts. You can even watch a magical show about the history of the place during sunrise and sunset. Take your time exploring the landscape where you can take your family to a day of hiking of backcountry trails. To really have the full experience of Haleakala Crater, stay even for just a night, you might even glimpse the endangered Hawaiian state bird called nene. If your adrenaline is asking for more adventure, you might want to try Pipiwai Trail. Explore the wilderness side of Maui, a good take away from its pristine beaches and hike through its magical rainforest. Listen to the sound of nature at its purest, with birds singing a millennial tune song and the sound unseen oasis. Tall bamboo blocks the harmful rays of the suns so you could have a very comfortable walk through the heart of the forest. The path leads to the most beautiful waterfalls in Maui, the 400-foot Waimoku Falls. Marvel at its graceful cascade slicing through the mist and feeding the forest of its much-needed water.